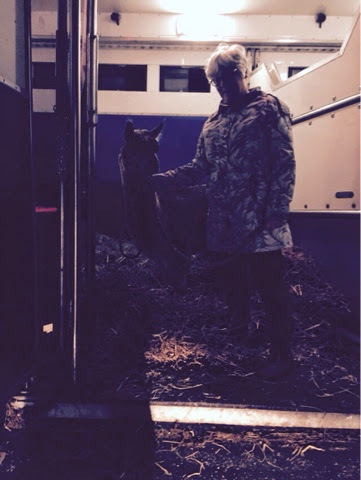 Toft Ikrit our prizewinning Light Brown Stud Male left us last night in the cold and dark to travel to Holland where he will standing on the Alpacamundo Stud owned by Anniek Van Djk and Auke Wesselink. Toft Ikrit is a fine upstanding example of the Toft Jaina bloodline resulting in a beautifully conformed male with a very fine consistent fleece. 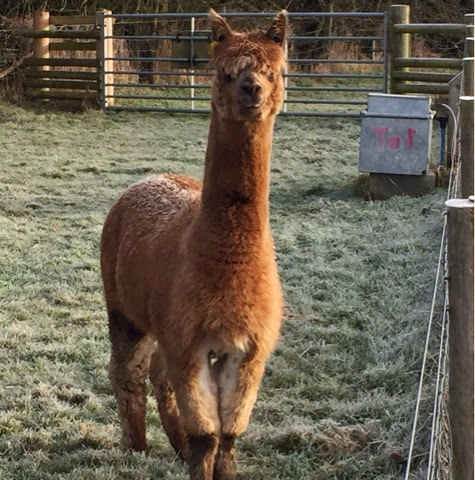 With a solid medium brown father and a solid black mother I think we can safely say Toft Ikrit will add some quality colours to the Alpacamundo herd. 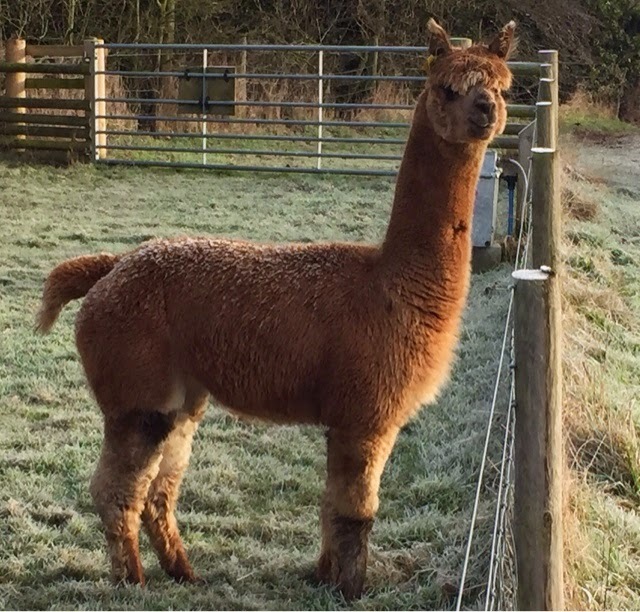 We wish him and his new owners well and trust Toft Ikrit will soon learn the language,cosy up to the Dutch ladies, and put some very impressive cria on the ground in years to come. Finally one year after taking on the neglected acreage bordering our farm we put our young stock on it today. 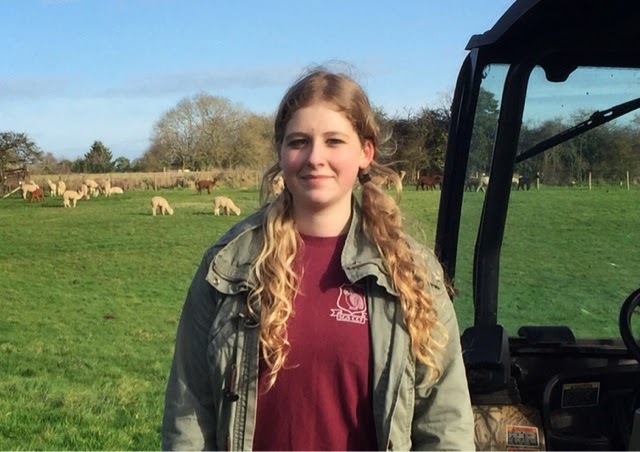 With the help of Samantha Law a veterinary nurse from Surrey, who is on work experience with us this week Linda and I moved the second batch of alpacas onto the new land. 35 TOFT weaners ceremoniously walked gracefully along the lane and into their new paddocks gave a quick look of thanks and gleefully ran off to enjoy the chomp. Couldn't get a sensible word out of the all day after that. Made us all smile though watching them pronking around with excitement exploring more than enough chomp to last them a year. Enjoy boys and girls. Sadly Sam leaves us today and we wish her every success as she stars the long haul to become a veterinarian. Thanks for all your help this week Sam, good luck with your studies and we hope to see you at TOFT again very soon. TOFT weaners and adolescents enjoying the pale winter sun and looking forward to 2015? I don't think so... Let's get real these champions of 2014 and candidates for 2015 are just looking ahead to longer days and sweeter chomp... as all alpacas must.